In a large sauce pan combine BBQ sauce, molasses, and brown sugar. Bring to boil, lower heat and simmer for 15 minutes. 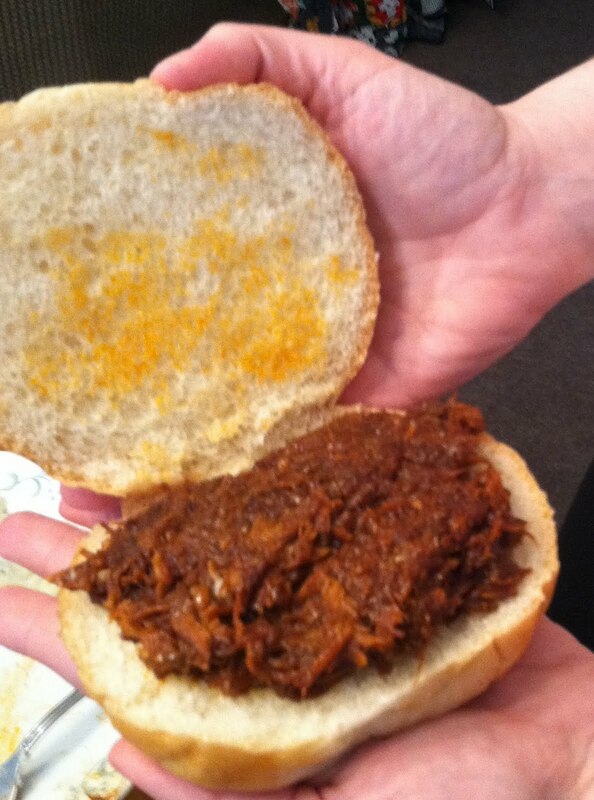 Put half of the BBQ sauce mixture, pork roast, and 1/2 of the onion in a slow cooker and cook on high for 5 hours. Remove roast and let cool. Pull apart the meat and put in large saucepan with the remaining BBQ sauce mixture. Heat and reduce liquid. Serve on favorite bun or bread with remaining onion slices as garnish.